LOS ANGELES, CA, UNITED STATES, November 19, 2018 /EINPresswire.com/ -- Very private, secluded and majestic Equestrian Ranch property. "Spring Valley Ranch" is a hidden valley of 240 acres adjacent to 100,000 acres of Los Padres national forest preserve. This is an Eco Lux, completely self sufficient property scouted for it's location, abundance of water and meticulously designed by the lead physicist on the Manhattan Project. There is nothing like it and is ideal for nature enthusiasts, celebrities and VIP's wanting ultimate privacy and protection. 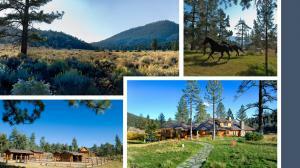 This extremely private celebrity owned VIP Mountain Ranch Retreat is now for sale. 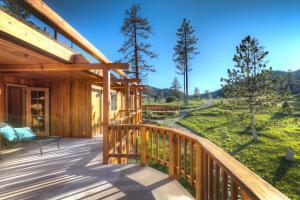 It's location was carefully scouted and designed to be any nature enthusiast's dream come true. Completely self-sufficient and sustainable with its own power resources and an abundance of water with dozens of natural mountain springs and aquifers, this 240 acre property surrounded by 100,000 acres of Los Padres National Forest Preserve gives the endless space to live, explore, play and stay in nature's untouched bounty. Built with meticulous detail by legendary Manhattan Project lead physicist, this retreat and horse ranch was originally inspired by the owner's love for nature and devotion to horses. Years ahead of his time this master physicist on Manhattan Project and highly influential scholar spent years creating his dream home with off the grid technology and infrastructure used to not only be a safe haven for his family but generations to come. The buildings on the property are built to withstand the strongest natural disasters, such as earthquakes, etc. This premier home provides the ultimate escape from Los Angeles and peace of mind needed in today's world.